We have been quiet here at GoalEurope in the past few days and even skipped our popular weekly news digest. 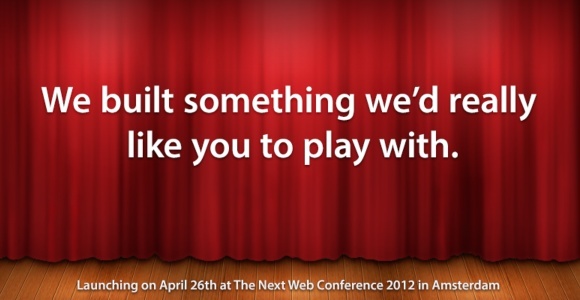 It was all because of the Next Web. There were quite a few Eastern European startups I discovered during the trip to Amsterdam so without further ado, here they are. Co-founder of Ukrainian Rollme Andrii Kuntsiv showed me a beta version of this social network aggregation tool, which brings the news feed from Twitter, Facebook, LinkedIn, Tumblr, YouTube and other networks into one newsroll. Reposting content from Rollme into other social networks is also possible. PC World has published a story recently about other ways to aggregate social networking feed, but the trick with Rollme is the in-built monetization opportunities. Premium users ($7 per month) can earn extra cash by from context ads and affiliate programs, which Rollme will place into the content. Polish Zapstreak presented at Startup Rally, and launched its private beta at TNW. The product is SDK for Android app developers, which allows beaming apps content from an Android phone to any device such as TV and other media (what is known to iPhone users as Airplay). The cloud-based tool which will be available on a subscription basis will significantly cut time required to integrate media (images, music, video) streaming functionality. Belarusian Taxistartup helps create and grow virtual or real taxi companies. The company offers cloud-based ERP system for a taxi company which links up with lead-generation apps, website and telephone system and even allows trading orders with other taxi companies if operating at full capacity. It actually offers its users an option of operating a global taxi business. If the startup had a decent marketing budget (and it just might) it could do on its own, offering a low-cost alternative to Uber. Ukrainian Hubbub is a social network based on voice. It falls between Facebook’s largely text- and image- based content and video social network Runfaces (and later Airtime). Having a voice-only stand-alone social network is not practical from my point of view, but it could work well as a platform and an aggregator of sounds (in a similar way Socialtape pulls video from social networks into a single stream) to enable users to create voice-based status updates or follow the audio stream when on the go. The product is still in beta, and it remains to be seen in which direction it will develop. Hungarian social jukebox Noispot was exhibiting at the conference on day 1, and Gerzson Huszar, the founder of another Hungarian startup in this space Mixgar was attending TNW. Both companies democratize how music is chosen in public places. Visitors are provided with a free mobile app which allows them to vote for music to be played at the location. Two more Hungarian startups were exhibiting at the conference. These were website translation service Easyling, whose product demo I have finally seen live (and was duly impressed), and Co3App, the cloud-based business management software for SMEs. Oleg Nederev and Sergey Bulaev of Russian Skript showed me a popular mobile app Buy me a pie which is a rather simple shopping list that couples can use together with a shared login. Once an item in a supermarket has been placed into a shopping cart, one can swipe it to strike it off the list. The app has seen over one million downloads. Skript is based in Ulyanovsk (600K inhabitants), the base for other global internet companies Ecwid and Echo. Pixengo is a Polish / British startup which offers a mobile app to share photos with voice comments. I have tried using photo commenting functions on my Nikon camera ages ago, but quickly gave up the idea since the sound and photo files could not be kept together. The idea is neat, but the threat comes from existing photo sharing apps which can simply replicate the feature. Ukrainian ants2ants helps monitor and promote real estate investment projects. The site builds on an ability to define an investment project in standard terms, and trace its reputation which is often attached to the real estate expos and conferences. In a way it is an Angellist for real estate projects, which will hardly get traction if marketed only at startup conferences. AppMotion allows game developers use iPhone and iPod Touch for real motion control in games, in a similar way that Wii works. Alas, Piotr Tuszinski and I did not connect at the conference as planned, but then again I can write a saga how Aman Ghei of Accel Partners and I tried to meet for two whole days, all in vain. Even friendly TA Venture team offered help, checked his picture on my cheat sheet from Paydro and went in four directions to trace him with no results, that’s how packed TNW was. I have also met HackBoxes Filmaster and Infogr.am a the conference, as well as the team from ScatchApp (HackFwd Build0.9 audience award) headed by its co-founder and CEO Michal Lyczek. ScatchApp went through a 30-hour hackathon (and I think it came second, if my memory is correct). Czech Belladati also launched its agile analytics and reporting cloud at the conference (and yes I also failed to meet them). But then again, unlike the team of seven TNW bloggers, I was there all “alone”. Ukrainian Max Ischenko was exhibiting his Monday52 startup, which is set to offer employees a platform to share their experiences with employers. Ischenko is currently going through Estonian Startup Wiseguys accelerator program. Polish Mywebzz backed by SpeedUp group from Poznan develops websites especially suitable for photographers. It also offers graphic designers to sell their photos, website templates and custom galleries. One should not overstate how competitive website building segment is, but then again, perhaps a chosen niche might still be up for grabs (at least Latvian Berta.me would hope so). Polish Kontomierz helps to analyze household expenses based on the personal bank account information for Polish market (yet according to Marcin Truszel, its CEO the company plans to come up with global products). That’s the end of my Eastern European business card pile. Next stop: NEXT Berlin on the 8-9th of May 2012 where Slovenian Slidemotion already holds fifth position in a popularity contest. 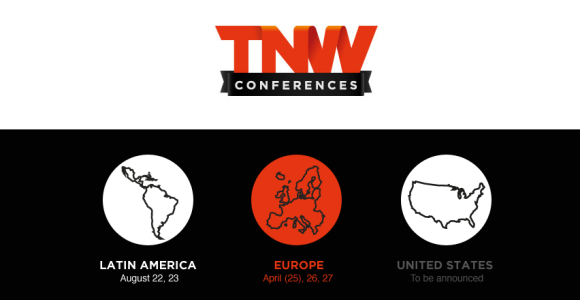 If you wanted to read more about launches and winners of TNW Startup Rally, note, that there were over 30 posts published on TNW blog, and there is more to come (and there is also my post on TC in the works).